BEIJING and SAN FRANCISCO, CA--(Marketwire - September 26, 2010) - WI Harper Group, a leading Chinese expansion and early growth stage private equity firm, today announced the appointment of two industry luminaries to its Advisory Board. Dr. Ge Li, the Founder, Chairman and CEO of WuXi Pharmatech (NYSE: WX), and Dr. Gordon Huang, an expert in green energy, will advise the firm on trends, investment strategies and new opportunities in China and North America. "WI Harper's investments drive the growth of international companies, change the way people live and work, and deliver a solid return to our investors," said Peter Liu, founder and chairman, WI Harper. "It is exciting to work with Dr. Li and Dr. Huang, two of the best minds in health care and cleantech, respectively, to identify opportunities and support our technology pioneers around the globe. I personally welcome our new advisors to the WI Harper team. " "WI Harper has thoughtfully supported the technology evolution in cleantech and health care in China and the U.S.," said Kai-Fu Lee, chairman of the WI Harper Advisory Board. "Both Dr. Li and Dr. Huang bring vision, hands-on experience, and a tremendous amount of knowledge to the WI Harper Advisory Board. I am excited to work with them in helping to guide WI Harper's investments in emerging technologies and innovative trends across these sectors." Dr. Ge Li founded WuXi Pharmatech (NYSE: WX) in 2000 and is currently the company's Chairman and CEO. He is recognized as one of the 60 Most Influential People over the past 60 Years in Pharmaceutical Development in China. Dr. Li's achievements have won him numerous prestigious awards and honors including the Most Innovative Leader of the Chinese Enterprises of 2008 and simultaneously earned WuXi Pharmatech the Most Innovative Company in China. He is a founding scientist of Pharmacopeia, Inc. (NASDAQ: PCOP), a biopharmaceutical company that discovers and develops therapeutics that address significant medical needs such as diabetes and rheumatoid arthritis. 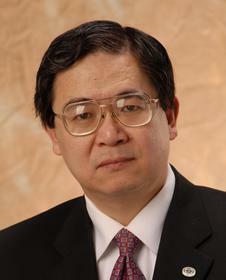 Dr. Gordon Huang is the Associate Dean (International), Faculty of Engineering, University of Regina in Canada. His expertise in waste treatment, disposal, and stabilization; climate-change impact assessment and adaptation planning; and energy management systems is un-matched. As President of the International Society for Environmental Information Sciences, Dr. Huang is at the forefront of the environmental engineering industry. Widely published, Dr. Huang is an international expert for the United Nations Environmental Protection Program and the United Nations Development Program as well as an International panel expert for Chinese Academy of Sciences.